Hello Loves! Phew! Its been a week! I know I know! I have been so busy with my brand launching. It has been a very crazy yet blessed week! Now I am back to my blog. I have so many things to show you guys, reviews and stuff. Today is going to be special because I get to review this thing right here! It has been around and I saw Bunny from Graveyardgirl also have review it. So i decide, I got to try it for my self because I am a person who loveeees trying new products especially makeup remover. Makeup remover is like my all time favorite product in skincare and I think it is the most importing thing to have. So let's get on to the review with a little intro on what this is. This pink cloth said that, it remove 100% of make up including lipstick, waterproof eyeliner, HD, Matte and many more in seconds. It is reusable and you can wash it up to 1000 times. Promotes a mission on a no more need for oily chemical filled make up remover. 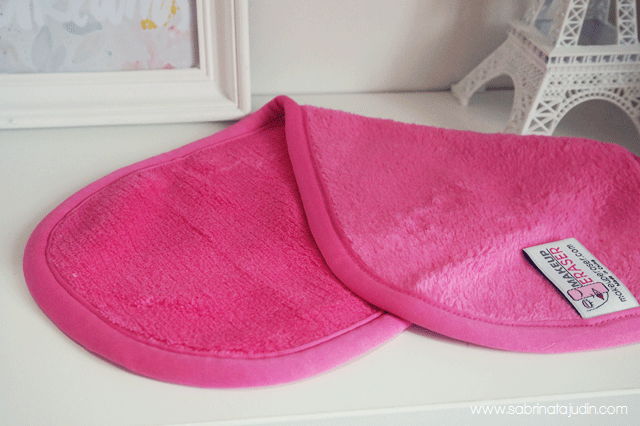 How to use it, Rinse the cloth with warm water for best result, use the side without the tag to remove make up. Circular motion and use the side where tag is intact after removing make up for scrub purpose. You need to wash it after use it, air dry and once a week put it in the washing machine to wash off the stubborn stains from the make up. Just like a normal towel! It came in this kinda like eraser shape box. Super cute! Inside the box you will get one makeup cloth and a how to card. First impression on this cloth is that it is super soft. The size is also just perfect to hold and store. If you notice, it has a 2 different texture on each side. It is said that the side with the tag attached to it (right part in above picture) is the more thick/textured" side, more like soft scrubbing and the left side is the one you start using to remove your makeup. My daily routine before discovering this cloth is by using my all time favorite makeup remover wipes from Biore. When I got this cloth I really want it to work so it will be a great option on days I ran out of my makeup remover. My Biore makeup remover is pretty costly. Its a every month maintenance to me and I mostly use it for my eye makeup to save up, while my makeup on the rest of my face I use baby wipes. A cheaper dupe but not as effective as the makeup remover. So by having this, imagine that I can reuse it for so many times. How cool is that. So here I am going to give you a comparison image to see the difference of this Makeup Eraser with a normal makeup remover wipes and a normal cloth. 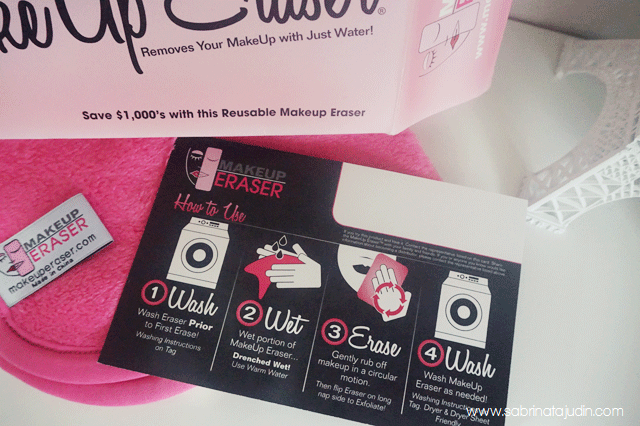 If you get what I mean, this makeup eraser is like a makeup remover wipes + cloth. Having both of this functions? Pocket friendly! Comparison & Overall thoughts. So as you can see, the Makeup Eraser works amazingly same as a normal makeup remover that you have to repurchase over and over again. No chemicals but just soft cloth. Some of you may say, why do I have to use this pink cloth instead of a normal cloth. Well, normal cloth does not work on removing your makeup. So you get the deal here. 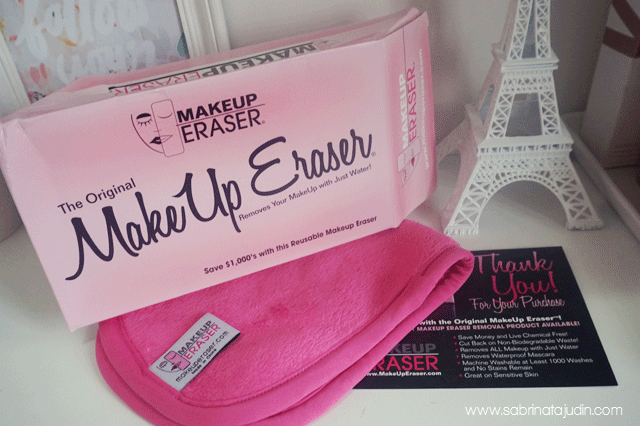 This Makeup Eraser is a must have to any one out there who wears makeup and if you are allergic to makeup remover. Makeup remover is compulsory in your skincare routine! Overall, I will still have my makeup remover wipes in my stash for a more deep cleaning. 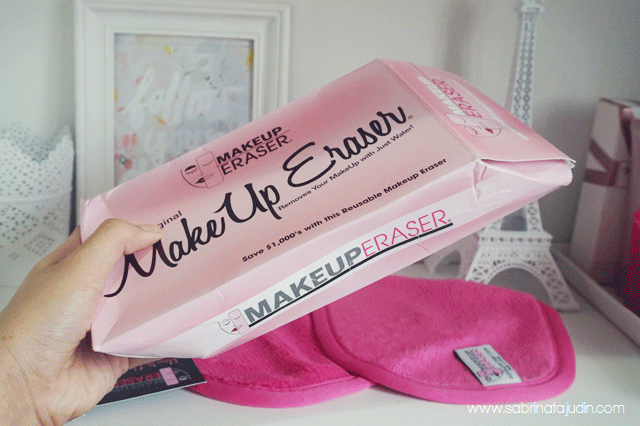 The Makeup Eraser also helps to removes my eye makeup. I have been using it for a month now and I can see the great way of fully optimizing my makeup removing routine. I will use this cloth first and then use my makeup remover wipes whenever I need more cleaning. Conclusion, I save more wipes than before! I love this thing! Especially removing face makeup. It works so well! Even tho its RM89+ for a cloth. Think about it. Love! This cloth is also easy to wash, trust me! Easier than cleaning a beauty blender. haha! What do you think? Is it worth it? I love it! yep, n kain ni lembut! best sgt! omg! so expensive. but worth it..
baru tahu ada benda mcm ni.. bagus!